I met Allen West when I was in D.C. last with Jimbo, and entirely by accident. He was most gracious. It is refreshing to hear this kind of language from a member of Congress. I am appalled.... Have they no shame in realizing that their inept, incompetent failures are the reason why we are debating this continuing resolution? They failed to pass a budget during the 111th Congress. Honor and shame are qualities Congress could use. 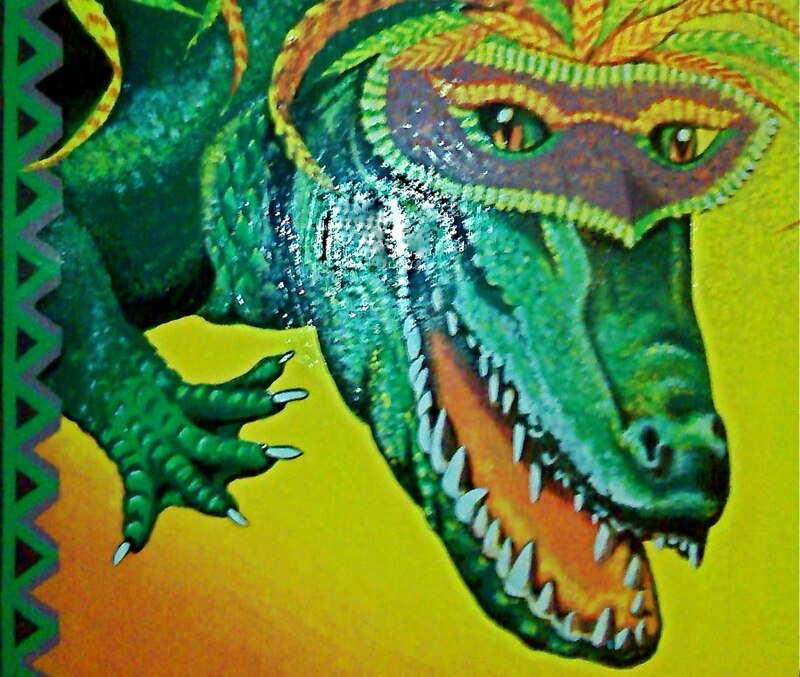 "What Happens in Vagueness Stays in Vagueness." One of the better titles for an article I have seen recently adorns this piece from City Journal. The idea here seems to be that the simulation is flawed in an anti-liberal way. An alternative interpretation is that the simulation is accurate: these are the rational choices for maximizing success in life, and the liberal program largely exists to make other choices sustainable. That's not necessarily a bad thing -- there are several goods that may justify our arranging our society so that capitalism doesn't rule every single corner of it. Now, I haven't played any of the games she mentions, but I expect that Ymar can fill in for me as our video game 'subject matter expert' (SME). With him to rely on for findings of fact, then, what do you folks think about this article and its claim? Are these games biased against liberals (and if so, can that be justified by her concept that it's to make them salable in poorer, less-populous red states)? Or is it just capitalism that is against liberalism (which would make more intuitive sense, as a good part of the liberal movements arose in opposition to problems resulting from capitalism)? Gatewaypundit is following this madness in Wisconsin, where legislators friendly to the public sector unions have fled the state to avoid doing their jobs a quorum being present in the legislature. That is, of course, a crime: but it's a state crime, and they're not in that state anymore. Presumably the state police could request help from the Federal government, but how likely is it that the current Justice Department would provide such help? Not very! 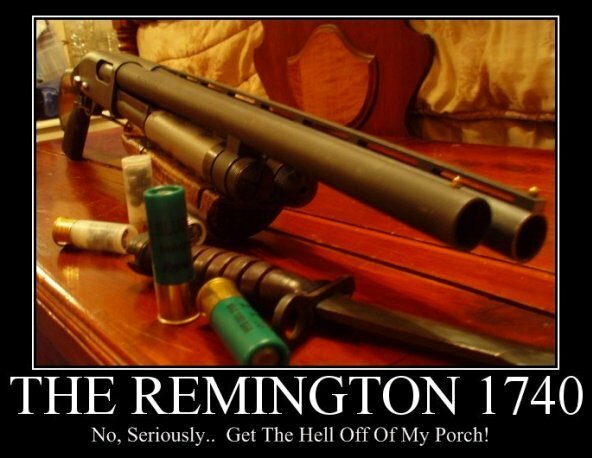 TIME FOR A TEA PARTY CITIZEN’S ARREST!… I am offering $100 to the first person successful citizen’s arrest. That sounds like an awesome idea to me. The citizens' arrest is of a piece with the renewed focus on the Second and Tenth Amendments: forgotten or ignored but never repealed, and still therefore the law of the land. It's a way of taking back the rightful duties and powers of a free citizen. On Thursday, a girl won a match at the most historic high school state wrestling tournament in the country, but she did so in an even more unusual and controversial way than most had imagined possible. "I have a tremendous amount of respect for Cassy and Megan [Black] and their accomplishments," Northrup said in a statement given to the media following his official forfeit. "However, wrestling is a combat sport and it can get violent at times. "As a matter of conscience and faith, I do not believe that it is appropriate for a boy to engage a girl in this manner." I have a feeling that this reasoning is not going to win him any awards from the ladies of the Hall, who have often made a point of their desire to be engaged as an honest competitor. On the other hand, as a matter of freedom of conscience we must accept some space for people with differing views to live out their values, provided they are courteous about them and also willing to accept the consequences. There's something elegant about his reason, too: that he is aware of the combative and violent feelings the sport brings out in him, and does not want to direct such emotions -- or violent, combative acts -- at a girl. That seems like a valid and reasonable objection, combining self-knowledge with values that oppose using physical force against women. I can't fault either point, even though I also see the value of free and honest competition. Then again, I never found that wrestling brought out much aggression in me: it always struck me as a more mental and spiritual activity, more about analysis of their strengths and a kind of 'feeling through' their guard. In areas where I do feel strong emotions of violence, I would certainly also wish to avoid directing those at a lady. On those occasions when it has been necessary to argue fiercely against one, I have tried to rely on highly formal and courteous manners to ensure that it was done respectfully. That is not an option available here. Can you respectfully pin someone's head between your legs? Perhaps not! This has to be fake, right? But it's very well done. To paraphrase Jacques Chiraq: "He missed a good opportunity to shut up." Joel reminds us that rock and country music have a certain connection. We can make that plainer with a few examples. Post up your favorite examples using the YouTube button, in the comments. The preparations for the annual fire department fund-raiser are marginally less crazy this year, because our friend/neighbor/assistant chief is skipping his usual parade float. He sold his trailer a few months ago, and besides the parade has been going on for nine years and has attracted quite a few participants. None of them are quite as enthusiastic as our friend, of course, who in recent years has built a giant crawdad, a pirate ship, a Jimmy Buffet beach bar, and (last year) a flying saucer. We did have fun with the costumes, and even more with the Star Trek and Outer Limits music, but I'm just as glad not to be jamming the considerable painting work into this last few days before the festival starts on Friday. All I had to do this year was repaint the dates onto the festival signs. 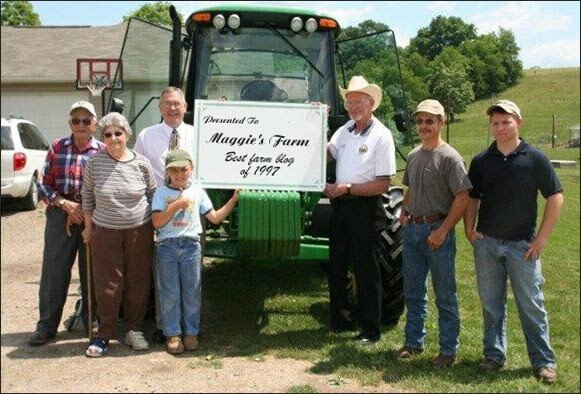 In keeping with today's "Plug Maggie's Farm" theme, here's an article they linked this morning about the stubborn persistence of gender roles in the ancient ritual of the marriage proposal. As usual, I intrude my personal counter-experience: neither of us can remember how it was that we decided to get married, back in the Cretaceous. At some point, it just seemed that we were setting a date and informing the families. The NPH claims it was my idea, while I remember its being his. Men who prefer a more intimate approach still must find a way to demonstrate wit and intelligence, qualities that are also good predictors of success in today's world. One author who achieved brief internet fame proposed to his girlfriend by asking for her hand in the preface of his latest book. It was a cunning trick, simultaneously showing off his impressive status for his beloved and letting him find out whether she actually reads his stuff.
. . . Some readers will doubtless rue the tired gender rules and status displays that define the contemporary proposal. But growing up in a culture whose idea of asking for a date is a midnight text message asking "u free?" a young man doesn't face many opportunities to demonstrate manly initiative in the romance department. Speaking of manly initiative, you cain't hardly beat a Valentine's Morning presentation of my favorite almond chocolate bark shipped in from a little store in Houston. Way to improve my mood all week long! Better than roses any day. In light of our recent discussions, I was amused to note that I didn't get past the first dozen comments in the linked article before the talk veered into the familiar territory of how terrible marriage was for men these days. Why do they pop the question, anyway? I do like the Maggie's Farm site, and since they made an open appeal today to their readers for more exposure, I'm plugging them here. 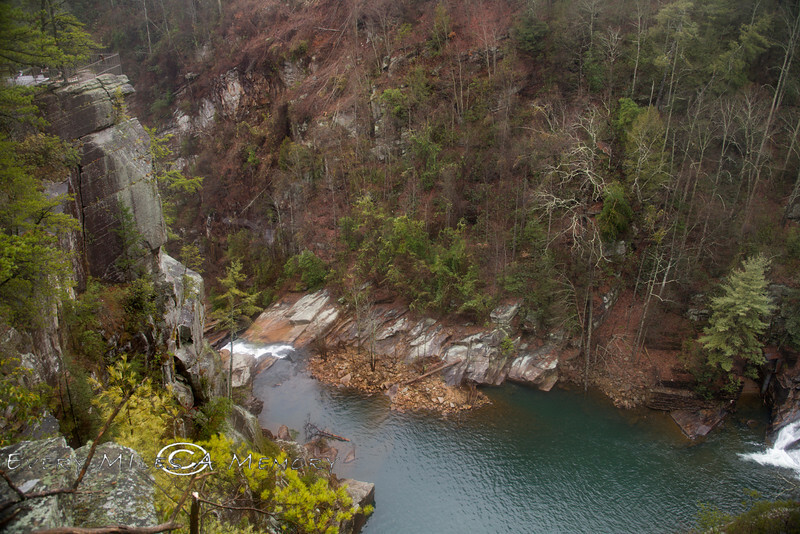 So I took the motorcycle up to Tallulah gorge. It was like that. The late winter wind was strong enough to blow the wheels right out from under my cruiser; but, like a gyroscope, it pulled true as long as you had enough hammer under the throttle. Therefore, as Lancelot said, "All shall be welcome that God sendeth." There was a recent discussion about whether rock and roll music was inherently degrading; and of course it mostly is. There are certain subsets of the thing, though, which manage to avoid degradation. The best things point to the True and the Beautiful: the truth, and the beauty, of rock music is joy. It's rare that they get to it honestly; mostly they lose it in other things. Once in a while, though, you get a song -- in rockabilly, or punk rock -- that is nothing more than an ode to joy. That's the real thing. 1) "Master, mistress or servant"? 2) Usually homicide is justified on one of two grounds: because it is self-defense, which is a natural right; or because it entails defense of an innocent from suffering grievous bodily harm or death at the hands of a felon. This law is interesting because it locates justifiable homicide in a different natural right: the right to protect one's offspring or blood-kin from harm. Further, it brackets 'defense of an innocent from suffering grievous bodily harm and death' -- but not at the hands of a felon. The person you are justified in killing may be doing something perfectly legal. That's new, and not only in American law. Even in the ancient laws on which our system is based -- Anglo-Saxon or Norse laws -- removal of legal protections against homicide was based on some offense against the law itself. Those systems recognized something like a legal right to kill in defense of your family (or to avenge a member of your family); but they also recognized your victim's legal status and the right of his family to pursue legal remedies. Removing the protection of the law entirely -- outlawry -- was reserved for cases where the law itself had been defied. The harmony here is that the legal remedies available in the ancient system were more akin to our civil than criminal law: that is, you can still sue the killer of an abortion doctor for removing his family's income support. In that sense, this is something like an honest rendition of the ancient Icelandic code (which we discussed at length during the Book Club discussion of Njal's Saga). All that is being removed here is criminal law: the family of the slain abortion doctor would still be able to sue for monetary damages, akin to the 'weregild' (blood price) as in Anglo-Saxon or Norse courts. So, with all that said: what do you think? Those of you who aren't sentimental about cats will suspect this is played for laughs, especially considering the portentous music, but it was just the thing I needed to start my day. In general I avoid anything with an "i-" in front of it; but this sounds worthwhile for those of you who don't share my sense. Corey Olsen had a lot to say about J.R.R. Tolkien. But it seemed a pity to consign his thoughts to a scholarly journal, to be read by a few hundred fellow academics who already knew more than enough about the author of "The Lord of the Rings." Looks like that website is here. 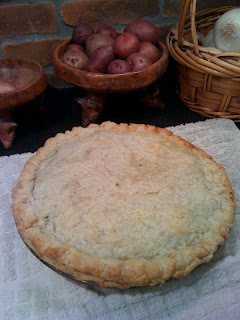 Updated: We used a modified Alton Brown pie crust; this will make enough dough for one pie with a top and bottom crust. As you'll see, it's very, very short. If you were making a sweet pie, you'd add up to a tablespoon of sugar to the dough. In either case, you should brush the assembled raw pie with an egg white whisked with a little water, to get the dough to brown nicely. This one wasn't browned quite enough, and in any case looks paler in the picture than it really was. By the time we had re-heated it in the oven the next day (this was the last course, so we had one full pie left over! ), it had browned perfectly and the dough was just right. Cut the butter and lard into small pieces and place in the freezer for 15 minutes. Drop the butter into the flour and cut it into small pieces, then add the lard and cut in again. Drizzle in ice water until you can just get the pastry to hold together into a ball, taking care not to overwork it. Refrigerate the pastry until you're ready to roll out a bottom and top shell. Preheat the oven to 375 F. In a large skillet, cook the bacon over medium heat until brown and almost crisp, about 5 minutes. Remove with a slotted spoon, reserving 1/4 cup grease in the pan (add vegetable oil to equal 1/4 cup if more fat is needed). Add the onions and celery and cook, stirring, until soft, 3-4 minutes. Add the green onions, garlic, Essence, salt, and cayenne, and cook, stirring, for about 1 minute. Add the flour and cook, stirring, to make a light roux, about 3 minutes. Gradually add the oyster liquor, cream, and lemon juice, stirring constantly, until thickened, about 3-5 minutes. (We found that we had to add a good bit of corn starch to get the filling to thicken enough to permit us to serve the pie hot without its filling running out. Thinking back, my husband believes he didn't drain the oysters enough, and so had extra liquid.) Add the well-drained oysters and cook, stirring, until they start to curl, 1-2 minutes. Remove from the heat and fold in the bacon and parsley. Let cool slightly. Adjust seasoning to taste. Bake in a 375 F oven for about 40 minutes. The recipe said 25 minutes, but ours took longer, even though the filling already was cooked. Anyway, bake it until it looks nice and golden brown, and by that time your bottom crust should be fairly crisp if you've gotten the filling firm enough. This holds up very well to re-heating for as long as you're comfortable with the freshness of the oysters -- at least two days in our case. 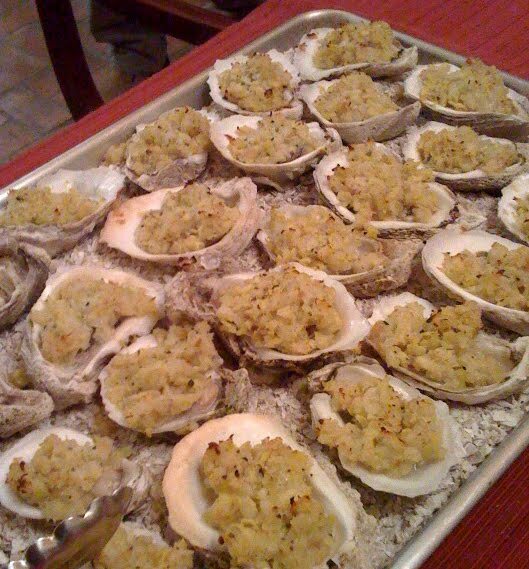 Line a baking sheet with rock salt and nest the oysters in their shells in the salt. Refrigerate until ready to use. Combine the reserved oyster liquor and all the remaining ingredients in a large bowl. Whisk vigorously to blend well and dissolve the sugar. Allow the mixture to sit at room temperature for 1 hour. 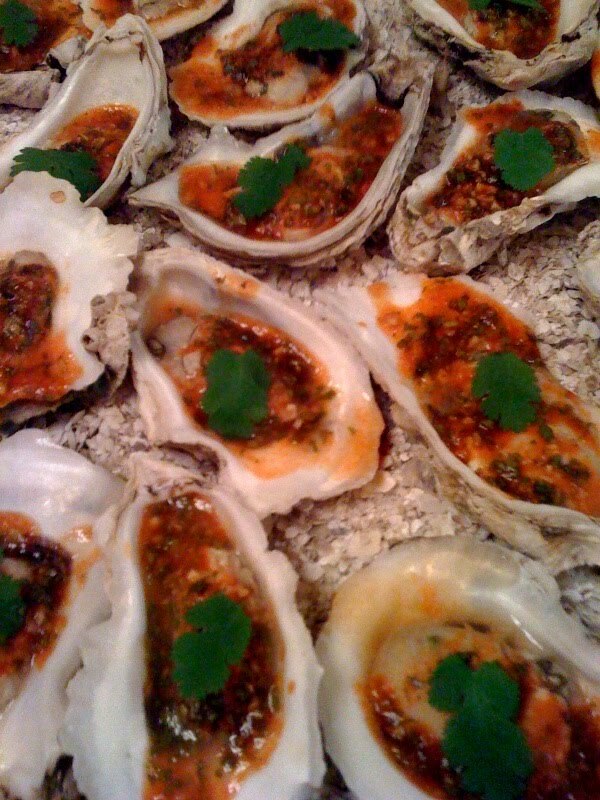 Preheat the oven to 350 F. When ready to bake the oysters, spoon a generous portion of the sauce over each oyster. 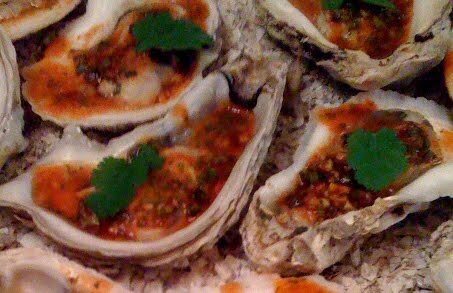 Bake in a preheated oven for 15 minutes or until the sauce is bubbly and the oysters are curled around the edges. Chipotle BBQ Sauce: Combine the sugar, vinegar, tomato paste, sesame oil, molasses, soy sauce, and chili peppers in a small pan and bring to a boil. Reduce the heat and simmer until it starts to become syrupy and dime-sized bubbles form, 12-15 minutes. Remove from the heat and transfer to a blender or a food processor. Process on high speed until smooth. Salsa Fresca: In a mixing bowl, combine the tomatillos, lime juice, red onion, cilantro, jalapeno, salt, and per and mix thoroughly. Cover and refrigerate until ready to use. Preheat the broiler. 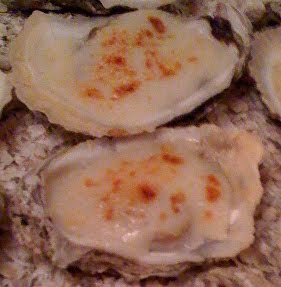 Place the oysters on baking sheets and top each with a teaspoon of the chipotle graze. Broil until the edges of the oysters are curled and the sauce is bubbling. Spoon a teaspoon of the Salsa Fresca on top of each oyster and serve immediately. Shuck the oysters and discard the flat top shells. Drain off and reserve the oyster liquor. Set oysters aside. 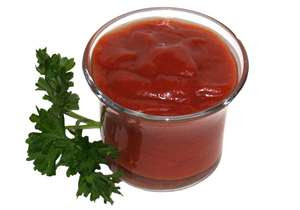 To make the spiced tomato sauce, puree the tomatoes and their juice until smooth. heat olive oil in a heavy 10-inch skillet over medium heat. Saute onion, garlic, bell pepper, basil, oregano, parsley, and bay leaf until the onion is wilted and transparent, about 5 minutes. Stir in the tomato puree and reserved oyster liquor. Add lemon juice, Worcestershire sauce, salt, black pepper, and red pepper flakes. Cook over medium heat, stirring occasionally, until the sauce has thickened, about 15-20 minutes. Preheat the oven to 400 F. Line 2 baking sheets with rock salt. Nest the oysters in their shells in the rock salt. Top each oyster with a portion of the sauce. Scatter minced prosciutto and shredded Parmesan cheese over the sauce. Bake in the oven until the cheese is golden and the sauce is bubbly, about 10 minutes. Serve hot. In a large heavy skillet, bring 1/4 inch of water to a simmer over moderate heat. Add the oysters in 2-3 batches and poach until the edges just begin to curl, about 1 minute. Preheat the broiler. In a medium saucepan, combine the milk, 1/2 cup reserved oyster liquor, garlic, and nutmeg. Hold a sieve over the pan and add the flour to the sieve. Gently tap the sieve and whisk the flour into the liquid. Set over moderate heat and bring to a boil. Boil, whisking constantly, for 3 minutes. Remove from the heat and stir in the hot sauce. Set the sauce aside. Return the oysters to their half-shells and place on 2 baking sheets. 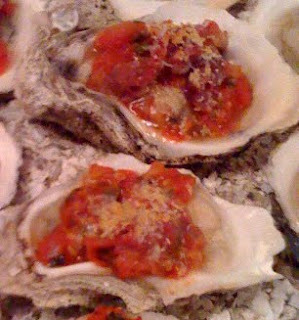 Coat each oyster with about 2 t of the sauce and a generous pinch of Parmesan cheese. Broil the oysters until the sauce is bubbly and speckled brown, 2-3 minutes. Serve hot with lime wedges on the side. Soup: In a large, heavy stock pot, cook the bacon over medium-high heat until brown, about 5 minutes, stirring constantly. Add the onions and cook for 5 minutes, then the garlic and cook for 1 minute, stirring constantly. Add the oysters, the oyster liquor, and cream and bring the mixture to a boil. Remove the pot from the heat. 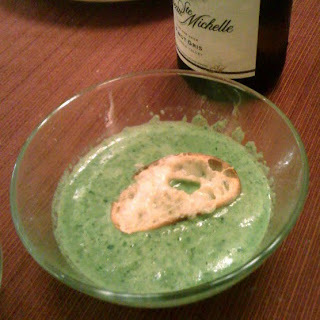 Using an immersion blender, or in batches in a blender, puree the mixture, adding the spinach in batches as you puree. Season with salt and white pepper, and stir in the anise liqueur. Croutons: Place the sliced bread in 1 layer on a baking sheet and bake until just lightly brown on both sides, about 3-5 minutes per side. Remove the bread from the oven and rub garlic over 1 side of each slice. Top each slice with cheese and roast until the cheese is bubbly, about minutes. Serve with the soup. Updated to correct errors in the original, which we discovered upon cooking it. For the pickling liquid: Place all of the ingredients in a saucepan. Bring to a boil, cover, and allow to steep for 30 minutes. This is enough liquid to pickle up to 2 dozen oysters. For the oysters: Shuck the oysters. Wash the deeper halves of the shells and reserve. Using scissors, cut away the muscle portion of the oysters and discard. Wash the trimmed oysters under cold running water to remove the milky residue, which would coagulate with the vinegar in the pickling liquid and create an unwanted coating on the oyster. Add the oysters to the pickling liquid and refrigerate in a covered container for at least 12 hours and up to 36 hours. For the "capellini": Using a mandolin, cut 1/16-inch lengthwise slices form one side of the cucumber until you reach the seeds. Turn the cucumber and continue slicing for all four sides. Stack the slices and cut them lengthwise in 1/16-inch julienne strips to resemble capellini. You will need 1 cup of "capellini." Combine the cucumber strands with the kosher salt and rice wine vinegar in a bowl and allow them to marinate for about 30 minutes to extract the excess liquid. Drain the "capellini" and squeeze to remove the excess liquid. Place in a bowl and toss with the chopped dill. 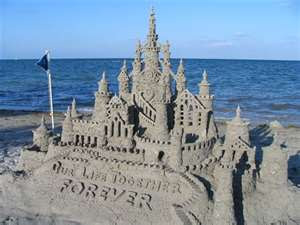 To complete: place a bed of seaweed or rock salt mix one each of 6 serving plates. Twirl the cucumber with a fork, as you would pasta, and place a mound on each oyster shell. Remove the oysters from the pickling liquid and place an oyster on each mound of cucumber. 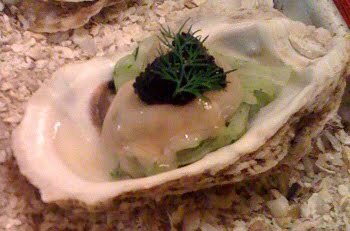 Garnish each oyster with 1 t of caviar and a sprig of dill. Preheat the oven to 425 F. Melt the butter in a 12-inch saute pan over medium heat. Increase the heat slightly and add the onion, celery, and 1/2 t salt; sweat for 5-7 minutes. Add the garlic and cook for an additional 1-2 minutes. Reduce the heat to low and add the artichokes, bread crumbs, lemon zest, remaining 1/2 t salt, pepper, and oregano. Continue cooking for 2-3 minutes, then remove from the heat and set aside. Place the oysters on a sheet pan and divide the bread mixture evenly among them. Place in the oven for 10-12 minutes. Bread crumbs should be slightly browned. Serve immediately. In a bowl, mix the creme fraiche, cream, 2 T of the caviar, lemon juice, and chopped dill. Refrigerate the sauce for 1 or 2 hours before serving. Just before serving, cut the salmon into 12 pieces large enough to wrap the oysters into roughly square little packets. Wrap the oysters. Divide the cream sauce among the serving plates, creating a pool of sauce at the center of each plate. Divide the wrapped oysters among the plates, arranging them on the sauce pools. 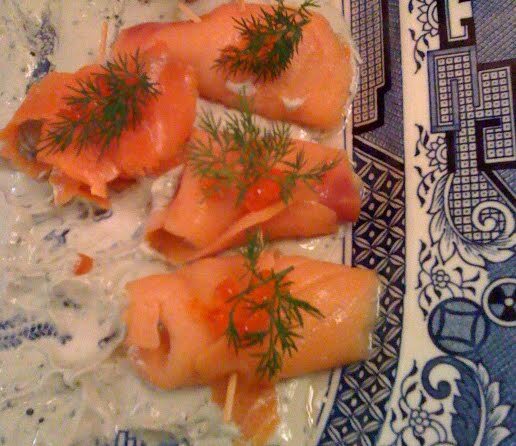 Garnish each packet with a generous 1 t of caviar and a dill sprig. 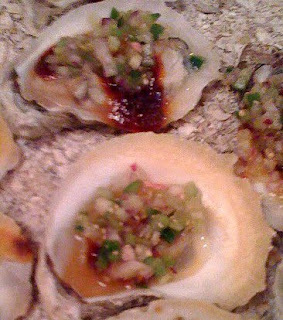 All oysterfests begin with raw oysters and cocktail sauce on crackers. Grim, you can put this on cooked fish instead. It is perfectly understandable that Republican regulars thwarted in the primaries, Democrats defeated in the midterm elections, and adherents of both parties who found themselves suddenly deprived of political influence should find these developments disconcerting. It is equally understandable that those who find unpalatable either the Tea Party’s approach or some of the more colorful and/or questionable candidates to emerge victorious as a consequence of its rise might consider this leaderless and inchoate force’s impact worrisome or even frightening. 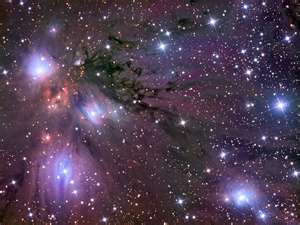 There are, though, earlier movements of this type, as he demonstrates, which inform our thinking. His argument does not demonstrate that the turmoil promised by the movement will end well. A repeat of Jefferson's or Jackson's electoral adjustment of the American project is fine; a repeat of the American or English Civil War, which he also cites as antecedents, would be less enjoyable for all concerned. However, as he notes, the alternative is the end of the American project. In Europe, Jefferson explained, “under the pretence of government, they have divided their nations into two classes, wolves and sheep.” He feared that the same would in time happen in America. If the people in the United States should ever “become inattentive to the public affairs, you and I,” he wrote to one correspondent, “and Congress and Assemblies, judges and governors shall all become wolves.” From the outset, Jefferson feared that in this country the government would eventually find its way to what his friend James Madison would later call a “self directed course.” It was with this unwelcome prospect in mind that he asked, “What country can preserve its liberties if their rulers are not warned from time to time that their people preserve their spirit of resistance?” In the end, then, one does not have to agree with the Tea Party movement in every particular to welcome its appearance. Emphasis added. This is a long quote, but the main reason to read the piece is the historical argument, which I have not attempted to excerpt. What is given here are only the framing arguments. We should discuss the whole.